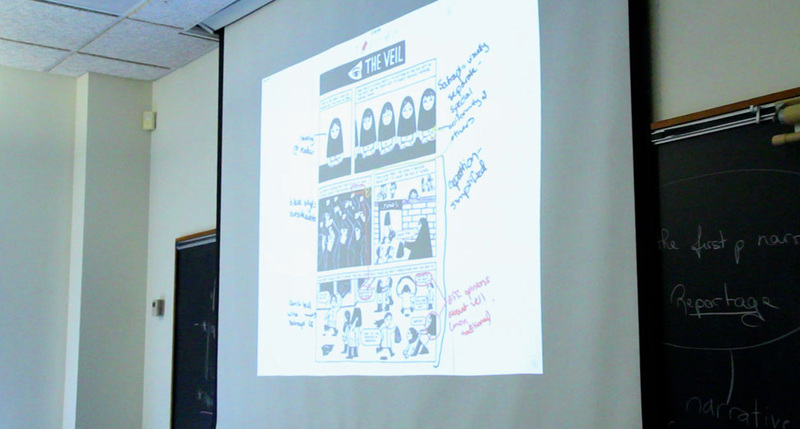 Starting in spring 2017 and repeating spring 2019, students enrolled in Manga, Bande Dessinée, and the Graphic Novel: A Transnational Study of Graphic Fictions have been able to utilize a combination of mobile teaching technologies in their coursework for a unique in-class exercise. 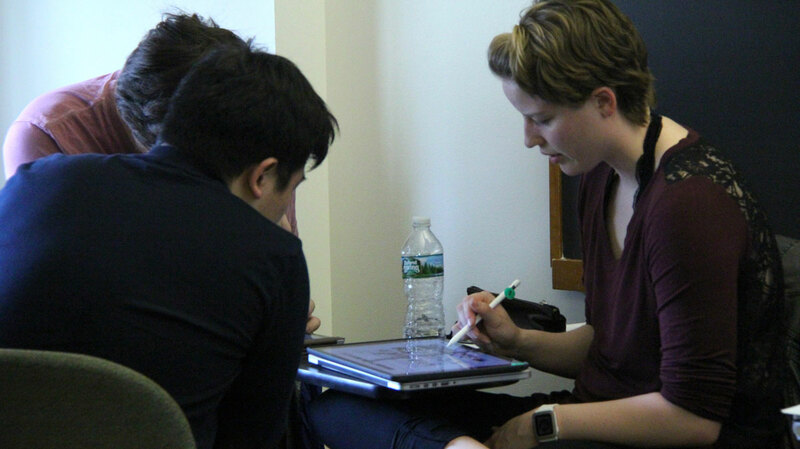 Instructors Alexandra Gueydan-Turek and Will Gardner developed the exercise and discussed with the Language Center how best to integrate mobile tablets and screen mirroring into a series of class sessions. From these discussions a workflow was developed to emphasize accessibility and creativity for students. Groups of three to four students were given iPad Pros along with an Apple Pencil (stylus). 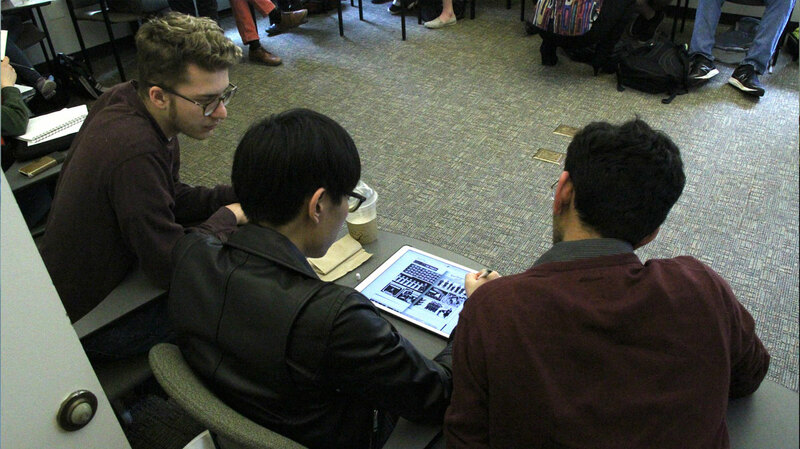 PDF scans of varying graphic fiction work (Marjane Satrapi’s Persepolis, for instance) were imported through a Google Drive repository into the application Notability. After being given a series of prompts students analyzed both the narrative and graphic representations of the narrative by providing annotations to the illustrations and text. Lastly, each student group would cast their iPad screens to the main classroom displays through an Apple TV connection. This allowed each student group to quickly share their work and critical arguments with the class at large. At times during the presentations additional analysis or corrections would be written and displayed in real time which would help to provide insight to the entire class. Often the common themes that would emerge would become apparent through the repetitions of similar visual annotations as each group presented their work.